The constitutional reform process moving forward rapidly, though without a high level of publicity, indicates that the government leadership has a businesslike approach to political reform. It is reported that four of the six subcommittees who were given different areas of constitutional reform to deal with have handed in their reports to the steering committee on constitutional reform headed by Prime Minister Ranil Wickremesinghe, which is responsible for producing the draft constitution. The subcommittees are on Fundamental Rights, Judiciary, Law and Order, Centre Periphery Relations, Public Finance and the Nature of the State. The government appears to be making the best use of the opportunity that has presented itself in the form of the government of national unity, which gives it a 2/3 majority in Parliament, capable of getting even controversial legislation through. Some of the constitutional reforms will be controversial, especially those provisions that relate to the ethnic conflict. The absence of fanfare may be because the government prefers to get those through the parliamentary hurdle first before taking them to the people. The unique opportunity that has presented itself in terms of constitutional reform is the existence of a government of national unity that is formed by the partnership of the two major political parties, the UNP and SLFP, which have hitherto always been on opposing sides of the political divide. Never before have these two parties formed a government together. One has always been in opposition to the other. This has also meant that whenever a government led by one them tried to come up with constitutional reforms or a political solution to the ethnic conflict, the other party in opposition always tried to undermine what the government was trying to do. Thus, both the 1972 and 1978 constitutions were essentially creations of one party, which those governments bulldozed into law without the support of either the major opposition party or the ethnic minority parties. The inability of previous constitutional reform efforts to obtain a bipartisan consensus, let alone a consensus that included the ethnic minorities, was a fatal flaw that had catastrophic consequences to inter-ethnic relations and eventually led to protracted civil war. On this occasion, however, the government comprises both the UNP and SLFP which has a large voter base that supports them politically. The political support given to the government by the ethnic and religious minorities at the last elections has also created a political obligation on the part of the government to take their interests into account in fashioning the constitutional reforms. Although the SLFP is for all practical purposes divided, the official part of the SLFP is headed by President Maithripala Sirisena who is giving increasingly forceful leadership to his more liberal faction of the SLFP. However, the division in the SLFP means that a substantial number of MPs and local level politicians are supporting the nationalist faction led by former President Mahinda Rajapaksa. The existence of a nationalist Sinhalese opposition to the government in the form of the Rajapaksa faction of the SLFP appears to have pressed the government to steer clear of engaging in mass politics regarding the legislative reforms at this time. 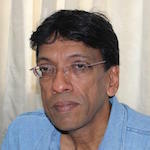 The government may be concerned that if the issues of constitutional reform or the reconciliation mechanisms are canvassed too strongly with the general population at this time, the nationalism that exists within the country, and in all its communities in competing ways, will lead to a rising tide of opposition from below which could influence, or even include the members of the official SLFP. This may explain why the government is proceeding with constitutional reform without much fanfare or engaging in mass politics on it. This same pattern can be seen in the case of the reconciliation process. The government’s passage of the Office of Missing Persons Act (OMP) through parliament was achieved at top speed that has now become a problem as several legitimate amendments proposed by the opposition were neither discussed nor voted upon. The government has itself admitted that amendments proposed by the JVP, which is a party that itself caused and suffered from disappearances in the era of its insurrection in the late 1980s and early 1990s, were missed in the melee in parliament on the day that the OMP bill was taken up for debate and rushed through to ratification. The law regarding the OMP has also been criticized by civil society groups for the reason that it has not been prepared in consultation with victim groups and the civil society organizations that have tried to sustain them. In the case of both the constitutional reforms and the reconciliation processes the government has shown it is interested in pursuing public consultations but on a limited scale by civil society organizations which have emerged as trusted intermediaries. The insights from this process of consultation have been useful and are being incorporated in the final drafts that the government is preparing for the new constitution. But it does not take the message of what the government is trying to do to the larger population. The government appears to be keeping that for a later phase when it will have to actually champion the reforms it is currently undertaking to win the hearts and minds of the people. At the present time the general population remain more or less as passive observers with regard to the two most important political processes underway in the country without knowing too many of the details as to what is happening in the country and why. On the other hand, the political championing the reform process will necessarily have to take place at the time a referendum on the constitutional changes is called for by the Supreme Court. If there is to be a political solution to the ethnic conflict, which is the long unresolved and festering sore in the body politic, it is very likely that it will entail a referendum as such a solution will include some major changes to the constitution. At that point the government will need to go all out to win the referendum. Losing a referendum on constitutional change will have catastrophic consequences to the government and to the polity itself on a scale that exceeds the Brexit reversal in the UK. In the UK the prime minister felt obliged to resign but the UK is under the same ruling party that is negotiating its exit from the EU. However, if a referendum is lost in Sri Lanka, the government’s mandate to govern will itself be eroded, rival nationalisms will take the upper hand and ethnic relations will be sundered. At the beginning of this year, the government provided civil society with an opportunity to get involved in the constitutional reform process by appointing a Public Representations Committee which was expected to go round the country and gather the views of the people on the main issues that require constitutional change. The PRC submitted its report about three months ago in May to the Prime Minister who is chairing the steering committee of the constitutional drafting process. The government also gave civil society a similar opportunity to play an intermediary role when it appointed the Consultation Task Force to ascertain the views of the general public on the reconciliation mechanisms it has proposed. This body has submitted an interim report on the first of the reconciliation mechanisms, the Office of Missing Persons, and is likely to submit the full report which includes the other three reconciliation mechanisms soon. In the interim period civil society organizations that focus on peace building, human rights and good governance are seeking to influence the drafting of the legislation relating to constitutional reform and the reconciliation mechanisms in order to improve them. Civil society needs to also engage in an awareness creation and education campaign with its own networks of partners at the community and grassroots levels. Such a course of action will ensure that a network of conscientised opinion formers will be available in all parts of the country to give their support to the government’s campaign when it has to face the referendum on constitutional reform and implement the reconciliation mechanisms that it has passed into law. The changes in the superstructure of laws and institutions need to be accompanied by corresponding changes in the attitudes of the general population whose thinking has been conditioned by decades of nationalism, over centralization of power and focus on national security-centered policies which were justified as necessary in a time of war. Well Jahan referendum is what will send this Government home. These guys have no understanding of the pulse of the people. The very democracy they championed will send them home. The sheer incompetence these guys have demonstrated in Governing is unbelievable. The first shock will be the local election.Mahinda’s faction will bag it hook, line and sinker. Those who were crowing about the SLFP split and the free run UNP will get will realize the SLFP is intact with Mahinda. What split was the Swan from the UNP. Well have fun while it lasts because it is not going to last long for sure. These steering committee dudes whom Mr Jehan is praising as efficient in writing constitutional clauses, can’t be the same dudes who sit in Kotte collecting free car permits, and that special dole of LKR 10 million each. Because most of them ,I wouldn’t engage to write my will, let alone write the Constitution of this 2500 year old nation. Jehan only wants, Federal Eelaam, and the NGOs to be recognized as an arm of the Government. Latter is already is in place with Batalanda in charge. But can these 40 thieves from the SLFP go to their electorates and deliver the votes of the great majority of our inhabitants to Batalanada Ranil and Bodhi Sira to divide the nation?. As a punter I won’t be putting any money on it. We had bitter experiences in constitution making in the past. Both the 1972 and 1978 constitutions were flawed since they were not bi-patrician constitutions. The situation was worse since the Sri Lankan Tamils were not at all involved in constitution making at both occasions. Now the time has come to formulate an all inclusive constitution with the inclusion of all political parties including the minorities. The hitch of course is the supposed negative attitude of the SLFP rebel group or the so called joint opposition for any constitutional reforms. As a consequence the government is unfortunately steering clear of engaging with the JO in the constitution making process. This will prove to be counterproductive in the long run and a wrong tactics. We should not ignore some positive features in the present scenario! There in near unanimity in changing from executive Presidential system to west minister type parliamentary democracy and the 19 A is an example at to how the JO could be manipulated to come to a compromise and a desirable consensuses possible. People like Prof G.L.Pieris,DEW.Gunasekara , Vasudeva, Tissa Vitharanae and many others in the JO who were once champions of devolution and minority rights and who could be made uncomfortable and at least the government could call their bluff. The government could make every effort to divide the JO into a moderate and extremist racist camps and force them to compromise like what happened with 19A. The 19A with all its faults is a bipartisan and an all inclusive legislation. Why not try again with the new Constitution. The government then along with JO and minority support could face the referendum with confidence. The new constitution may not be the best, but best under the circumstances and realistic! Who has the will to tame the Sanghas? I agree that the constitution has to be all inclusive however the drafters should make sure that it reflect the nature of this country. A truly democratic country has the advantage of unleashing the full potential of its people. Is there a truly democratic country in this world? No, however, no harm in striving to make this island democratic and be a beacon to rest of the world. Wait, it is likely that I would be crucified by the patriotic forces for dreaming. Sensible suggestions mate..But are Batanakada Ranil’s UNP blokes interested in them?.. Batalanda does constitution drafting in total secrecy. The same way he allows the US now ,to land their Military Aircraft in Colombo as well as in China Bay. No wonder US Ambassador has offered his advice even on Constitution Making . Buddhist Monks are shoved in to lock up even for feeding elephants. Politicians who give a voice to the poor rural majority are hounded day in and day out, by Batalanada Ranil’s specially formed UNP Police. All Batalanad’s hand picked constitutional drafters have been bribed to the max. Batalanada has openly declared that he is going to change our free education to American System. Do our great majority know what the American System is?. China has been kicked out to please the Americans, when the Chinese have built real Economic Zones with real jobs in Africa, South America and even in Egypt. Do not forget, Jehan that the so called government of National Unity that was formed in partnership with the SLFP and the UNP was due to the votes of the Tamil and Muslim people. That should not be forgotten at any time. Had the Tamils abstained from voting in the Presidential election, Rajapaksa would have been in power and he would have been at the mercy of the United States. Everything changed may be for the better or for worse. The proposals of the new constitution is being kept secret, may be the Tamils should not know it until the final stages. We will keep the fingers crossed. Wow, Civil society aka NGOs aka Open society in some other countries funded and amanged by ZORRO and CIA have a part of the constitutional process. Tamil Reconciliation means devide the country to Tamils too and let Tamils take revenge from Rajapakses and from the country for defeating LTTE. Already, CIA has introduced moles every where in the system. Bureaucrats aand Politician are CIA moles. West has free access to Sri lankan soil and every body is in their pockets. So, Sri lanka is ready to be a Banana republic. They tried to screw up china too in Sri lanka via Ranil and Mangala. China is too smart. Recently, Malik Samrawickrama paid some money to a Consultant. I am sure they will bring Banana Plantations, Pickling -cucumber plantations, Cattle – ranches and chicken coups for Mcdonalds and Sri lanka will be a living paradise just like Carebbean islands. NGOs aka civil society will be the kingpins in the country. “The constitutional reform process moving forward rapidly, though without a high level of publicity, indicates that the government leadership has a businesslike approach to political reform. It is not very clear where the “Koolukkum Paadi Kanchikkum Paadi” Jehan is standing on this issue. I am not sure whether he is telling the government is rushing so it is going to produce a disastrous constitution or if he is telling the government is dedicated to solving the problem so it is working as fast as it can. But there is a mirage created and floated by the UNP Yahapalanaya team and the henchmen that government is rushing to solve something. Before we go further on the constitutional rush, we need to one more time stress our experiences on the flux of other deeds like Army withdrawal from North-East, land releases in North-East, economic, educational and other infrastructure building in war torn are, rehabilitating the Widows and rebels, Lost people issue and dismantling the CID commission operated by defense lawyer Paranagama, Illegal arrest prisoner releases, prosecuting the criminals on non-war related crimes like Vidya, Saranina and in other different type of political murders like Lasantha Raviraj, Pararajasingham, Thajudeen. What Jehan PhD is doing here is stirring up more the already disturbed pond, greedily to fish as much as he can This is how the “Koolukkum Paadi Kanchikkum Paadi” Jehan PhD functions. Some of the mirage of rush is floated to cater the March, 2017 UNHRC sitting and the rest is to receive UNSG Ban-Ki-Moon. The Covering up of UNHRC’s March sitting is about having declutching it grip on Old King, if really there is anything like that. Our only knowledge is from the dramas Mangala, Rajitha & other ministers putting up that there is a pressure on the Yahapalanaya government to do something in Lankawe by UNHRC. That “something” could mean that as low as moving away from selling sovereign lands China to as high as devolving power to Tamils. We know nothing for sure. To come back of the part of the “Rush Constitution” to receive UNSG Ban-Ki-Moon, Mangala has said he want to show the General Secretary what or How much has the Yahapalanaya Government has achieved. UNSG came here about 7 years ago. He issued a loose joint, statement as Lankawe is about to take care of accountability and responsibility for the Genocide war without witness. Other than it was a joint statement, in other words the Old King had promised in front of UNSG to take care of the matters of Accountability and responsibility, there was nothing specific. In the matters of UN sponsored Accountability and Responsibility, even some flimsy details started to be included only after that time Assistant Secretary and former American Ambassador Robert Blake took Lankawe to UNHRC in 2012. There was a reason cited to UNSG’s leniency to Old King. While Ban-Ki-Moon was standing to UNSG election, Friday Falsedom’s Radhika too was making preparation to compete in that. Old King voluntarily withdrew a Lankawe’s candidate in favor of Ban-Ki-Moon. As per those days’ talks, this obligated Ban-Ki-Moon to work with Old King rather than with UN. So the UN voluntarily withdrew, in turn, its officers from Vanni and Colombo to the Genocide take place without witness. Further, while Vije Nambiar’s immediate family members were consulting the Lankawe’s Old Royal Government on military matters, UNSG appointed Vije Nambiar to watch out the Genocide war in Lankawe. Nambiar was related to UNSG in marital relationships and Nambiar’s corrupted underhand operations in Myanmar and other places had forced him to leave UN. Further, UNSG refused to act on his own Expert Panel’s report. The UN’s impartiality was investigated, again UNSG forced it to remain as internal and Tamils could not get any strength or momentum out of it. While the Western media was describing the Genocide war between Buddhism and Hinduism, UNSG, on a visit that was believed to be an official one, visited to Buddhist’s autocratic temple, Dalada Maligawa which is one of the oil sprayers on communal ablaze. This time he may not visit scary places like suspicious Dalada Maligawa. But still he is refusing to visit Nallur Temple or Jaffa Library which PM Cameron visited or meet CM CV at NPC. When Ranil was in opposition, he was convulsing to form a National Government with Old King. To show his good faith to Old King on that matter, he undertook a paid trip to New York City to meet UNSG. Though UNSG always have been reflecting his obliged manners to Old King, it was said he did not receive Ranil well that time. This is reflected, in turn, in one the statements released by Old King, one day ago. Old King has said that this time UNSG will be tough, unlike last time. Here Old King is telling two things. One is, he is insisting his ability to deal with UNSG and Vise versa, UNSG’s leniency toward him. So he is indicating that the New Royal government will be feeling that he was not in power. Second, here, coming as an answer to the question as if the Old King released this kind of very important statement just from his eager or ego to brag himself without any internal knowledge. So, it is highly possible the Old King has some internal knowledge of what is going to be the UNSG’s mood when he visits Lankawe. This can be bought to him only from UNSG’s associates. The UNHRC’s resolutions were about the way the Old King fought the war. Old King is happy that his friend UNSG will fry the New Royals when he comes here. So, this is telling something beyond the mood of UNSG, when he visits Lankawe. That is, if UNSG is going to be critical of anything, it would be only about the way Ranil running the government, but he would avoid deeply criticizing or no criticism of Old King al all. Things are further being complicated by Mangala. Just like all Lankweyans want Trump come to power, he praised Former State Secretary Condoleezza Rice to incumbent State Secretary Kerry. Now he is doing something similar to that. He has declared that he is bringing in UNSG to show how and all what the New Royals have already achieved. This is how he has already declared his victory against Tamils in the UNSG’s visit. There is no arrangement has been done by UNSG’s side to instruct him ofwhat the New Royals government failed to do even at this long. A strong hand of Tamils like CM CV, Sivagnanam, Sivajilingam like people inside the NPC is not being met. Not even anybody outside like Ponnampalam will be met. This is the UNSG went out of the way to Dalada Maligawa. As per the Tamils media, Tamils already have lost a substantial part of confidence in UNSG’s good faith in his visit. The rush appearance is only a mirage because in 2014 when Sampanthar was campaigning for CC he has been asking 100 days from Tamils to solve the problem, Then it grow to 6 months, then August election, then 2015 year end and as the latest, now it is standing at March 2017. If somebody was struggling to keep the original promise of 100 days promise instead cheating only with their 19A for them that time, then one can call it a rush. Now it has taken 9 times longer than the original promise. Jehan PhD is telling the government is rushing so he is warning the constitution that going to be presented will be amended in the due course. It is, now, abundantly clear the timing of the constitution and the invitation to UNSG to visit Lankawe. The crowning there is Jehan PhD’s suggestion this constitution is going to face a laundry list of amendments. The Committee on reforms/recommendations to a new constitution has suggested that “Sri Lanka will be a Secular State”. If this recommendation is accepted and becomes a part of the new constitution, many socio-ethnic problems will vanish. Well written and sensible way to go inspite of the partitionship of some members of the sub committees involved in the process. A referendum on the final product is the way to go. The previous constitution was a joke;as some MP’s succumbed to monetary temptations and power, a bane of SL politicians. I hope that the first past the post way of electing MP’s is done away with and a proportional representational way of electing MP’s as done in some commonwealth countries is introduced in the new constitution of SL. This can eliminate the present chaotic system in a significant way.